The Aldric 3pc. 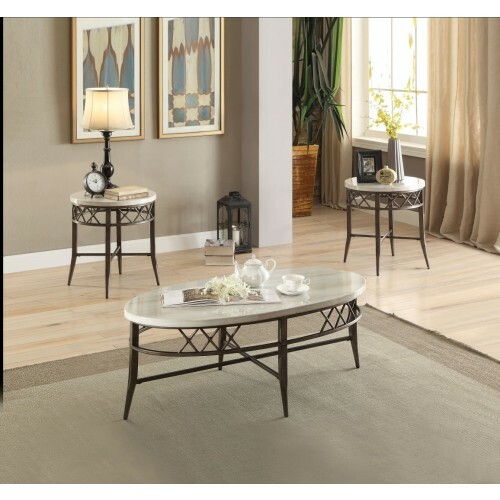 table group is a practical and yet a beautiful group that plays well with any decor. The faux white marble top is a hard surface that is forgiving and because of the open iron decorative base gives a light airy appearance so it does not crowd a room.